Good. 0006164544 1972 edition, cover differs, inscription on fep. Talking cats and strange happenings... Not what I expected from the hype about a masterpiece of literature. This book deserves its reputation as one of the greatest classics ever written. Might be difficult for someone not versed in Soviet era Russia to understand the significance of most scenes. Strongly urge anyone who did not live in or experience intimately Soviet time Russia to find someone to help explain. This is a classic that should be incorporated into every academic literary canon. 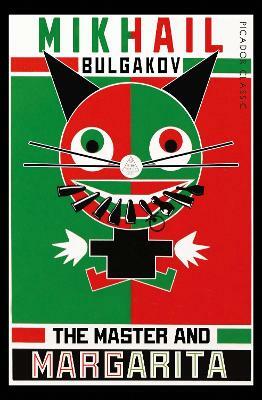 An extraordinary writer, Bulgakov weaves together the narratives of Satan's absurd entourage on an adventure in Moscow and an account of Pontius Pilate and Jesus with fascinating character detail and development. And important criticism of Soviet politics, as well as a beautiful and (at times) comic work, this is a must-read.